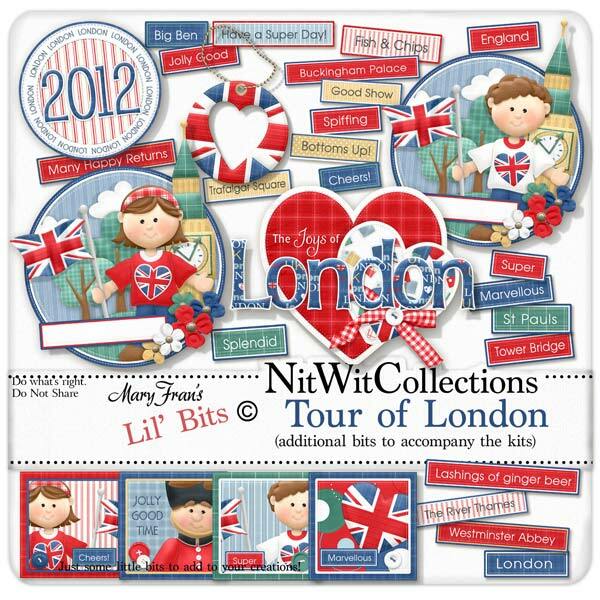 "Tour of London" Lil' Bits is a little like a souvenir shop. It has all of the extra elements and pre-made items that you would want to help remember London. Elements in the Lil' Bits are NOT included in the "Tour of London" FQB. 1 Wordart - "London 2012"
1 Wordart - "The Joys of London"
21 Wordstrips of the best British words I could muster.....P.S. I actually asked for a little help with this one!! !